Win 4 Tickets to Scarrigan Farms Halloween Weekend! Home Directories	Smarty Halloween Giveaway: 4 Tickets to Scarrigan Farms Halloween Weekend! Smarty Halloween Giveaway: 4 Tickets to Scarrigan Farms Halloween Weekend! Smarties, we are SUPER excited to share the scariest of scary Halloween giveaways with you! 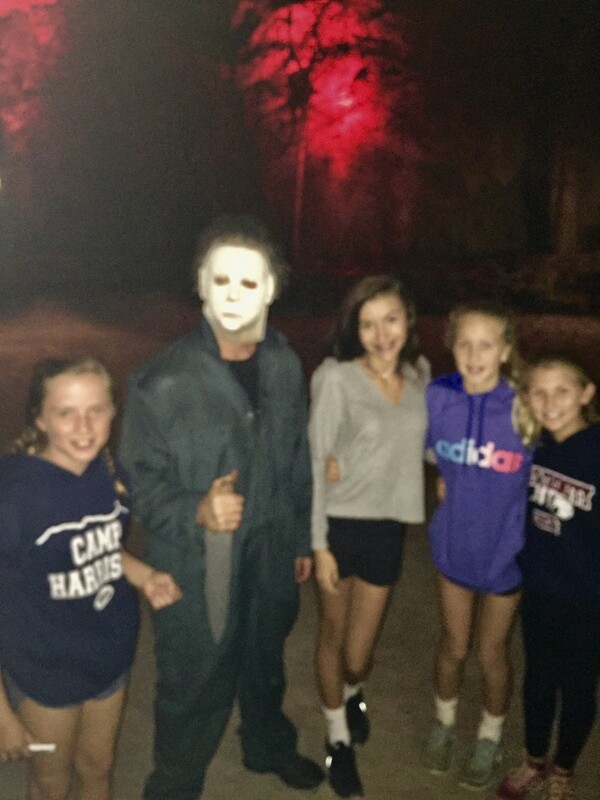 Our friends at Scarrigan Farms want to scare the tar out of one lucky (or unlucky:-) Smarty family on Halloween weekend (Thursday to Monday). The Smarty teen crew checked out Scarrigan Farms to see what it’s all about. I’m telling you, this is a GOODIE! It is perfectly scary, if that makes any sense at all. 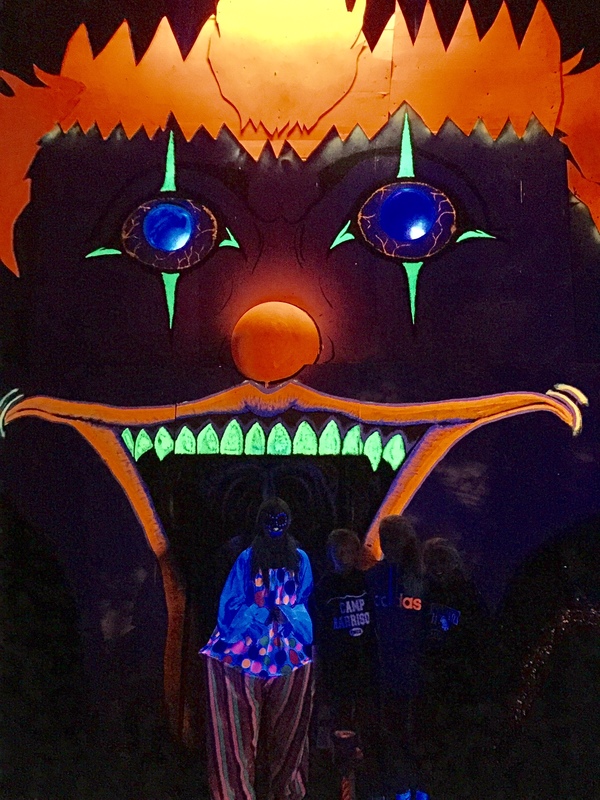 The haunted trail begins with goggles to enhance the effects and walking through a winding maze with haunted clowns and perfectly executed scenes out of some of your favorite horror movies. I personally was creeped out when Jason Voorhees chased me for three solid minutes breathing down my back in the dark and scary woods. I’ve had nightmares about Jason since I was 12, and I just revisited them at Scarrigan Farms! The best and scariest part in my opinion is the Terror Bus setting. You have to walk in through the back while all the scary people are hiding in the seats and waiting for you at the front with chainsaws. It’s legit and 100% scary – it’s AWESOME! You know your kid. If he/she is afraid of his own shadow, then this is not the place for you. 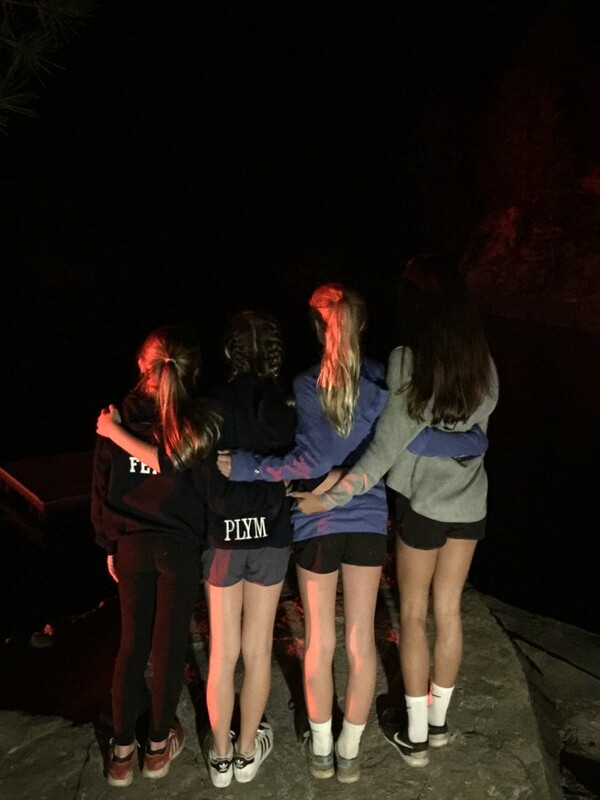 A bonus for a Scarrigan Farms trip is the “after party.” They have a bonfire and ‘smores by the quarry with music and your teens can hang out for as long as you like. This is the perfect place to get your heart rate lowered and to enjoy the natural scenic beauty of this gem right in our backyard. Scarrigan Farms is back for a 10th season of Halloween scares and pulling out all the stops with new attraction additions. As always, guests will crawl, squeeze, slide, run and scream their way through the ½ mile haunted walking trail. New for 2016, Scarrigan Farms has added Cannibal Nightmare and Twisted Fence (an homage to Blair Witch), as well as expanded the Fright Town attraction. Await your fate, as wilderness psychos and forest freaks guide your path through expanded haunted trail favorites; including Maniac Maze, Dizzying Vortex, Double Barrel Drop, Tragic School Bus, 3-D Zone and the haunted Corn Maze. For a decade, Scarrigan Farms has offered the premier haunted trail attraction in the Piedmont. Search high and low, and nothing compares to this unique experience. If you have a fear, Scarrigan Farms will uncover it. To commemorate ten years, Scarrigan Farms has added and expanded on this multi-layered experience. As always, guests never stand in line. 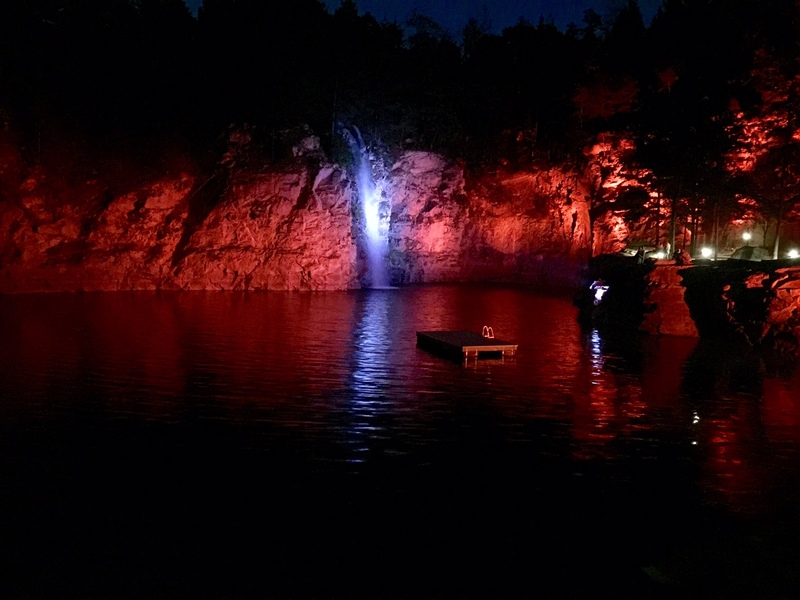 Enjoy public bonfires, music, concessions and space to roam while waiting at the Carrigan Farms Quarry. 1) In the comments below, post if you think your kid can handle this – why or why not?! 2) Bonus Entry: Tag @charlottesmartypants and @scarriganfarms on all social media. That’s it, we’ll pick our winner on Wednesday, October 26th at 6pm. Trail opens on October 1st and goes through Halloween night. Brave souls are permitted at sunset every Thursday, Friday, Saturday, and Sunday evenings in October. Visit website for exact dates, details. Scarrigan Farms $25 per person. Smarty Tip: Coupons are available on the Scarrigan Farms Facebook page. Congrats to our Asana Activewear Winner: Amanda Schiffer! They always handle a lot more than I think they will! Both my kids could handle it. They both love scary things. Yes, my kids can handle it. Not sure about myself! Looks like a blast. Yes…a teen and a tween! They loved to be spooked!! Not sure if my boys can handle it, but sure would be a good time to find out! They are a lot braver than me, so I bet they would love this!! Thanks for the chance! No my daughter could not she is afraid of the dark but my son can he loves creepy scary Halloween trails. My son could totally handle this! He’s fascinated by magic and make-believe! My kiddos Def cannot handle it. I almost lost it in the bus last year. Then the guy jumped out of the tree! I love scarrigans! Going to bring my sister and her fiance this year. We can’t wait! My three kiddos would love it because they ask to go to haunted houses every year. Their older sister got married at the quarry and one of my son’s birthday is 10/25 so it would be even more special! My daughters could handle, I’m not sure I can. We would love to go up to Scsrriigans! Heck yeah he can!! Happy Halloween!! Wow this has to be for me. I was telling my coworkers this past week I wanted to take my kids to a haunted house or haunted trail. Reading the description above I know this the place for us to visit. Sounds like balls of fun!!! And to answer your question, yes they candle it, buts it’s going be great to see how scared they will get. I’m so excited!!! Claiming it!! I have 2 teenagers that would be thrilled to go!! My teenage son could totally handle this…I think! My daughter wants to go, but my son will not! !